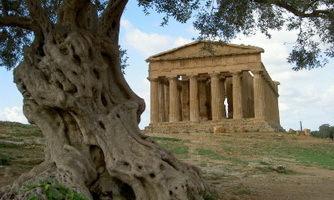 Sicily, the largest Mediterranean island, has more vineyards for wine than any other region. Production in recent years has reached awesome levels - frequently the greatest in volume among the regions. 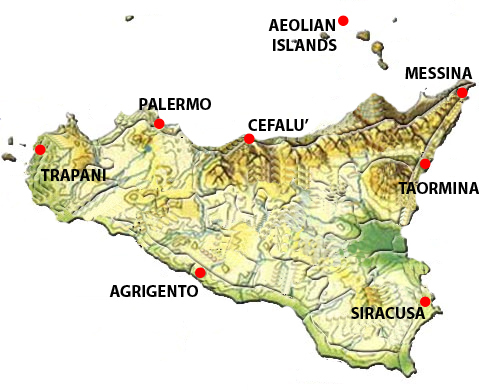 The westernmost province of Trapani alone turns out more wine than the entire regions of Tuscany or Piedmont or such wine nations as Hungary, Austria or Chile. But the proportion of DOC wine in Sicily's total is a mere 2.5 per cent and a major share of that is Marsala, which with some 22 million litres a year, ranks among Italy's top ten DOCs in volume. Marsala, which was devised by English merchant traders nearly two centuries ago, has remained Sicily's proudest wine, despite decades of degradation when it was flavoured with various syrups and sweeteners. Recently it has enjoyed a comeback with connoisseurs, who favour the dry Marsala Vergine and Superiore Riserva with their warmly complex flavours that rank them with the finest fortified wines of Europe. The only other DOC wine made in significant quantity in Sicily (about 2.5 million litres a year) is the pale white, bone dry Bianco d'Alcamo. 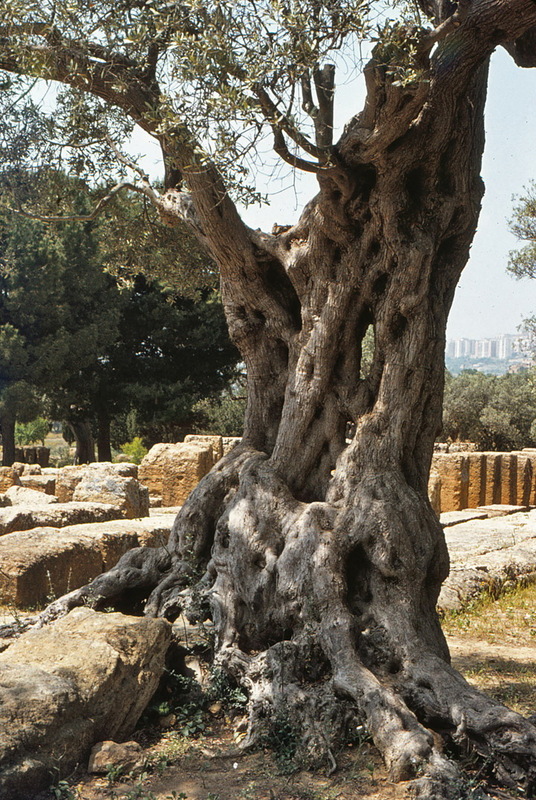 Moscato di Pantelleria, from the remote isle off the coast of Tunisia, is among the richest and most esteemed of Italian sweet wines in the Naturale and Passito Extra versions. Malvasia delle Lipari, from the volcanic Aeolian isles, is a dessert wine as exquisite as it is rare. 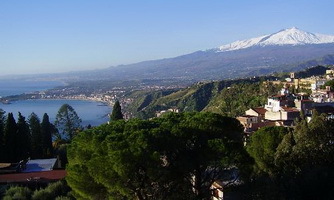 The dry white and red wines of Etna, whose vines are draped over the lower slopes of the volcano, can show notable class, as can the pale red but potent Cerasuolo di Vittoria. The food in Sicily is to die for. Do not ever try to diet in Sicily. Just to window shop at the pastry shop is a treat in itself. If you enter though beware, one cannot stop at one. Also one must try the Granita which is a crushed ice drink, famous in Messina where the locals say it is the best in Sicily and the whole of Italy!! It can also be made with coffee and cream which is exstasy to drink on a hot day. Other famous dishes that one must eat in Sicily is the Cassata which is more like a cheese cake than a cake. Stay in one of our beautiful agriturismo apartments or Villa’s which are on the olive and wine estates and there you can experience a real working property where you can see first hand how the wine is produced. 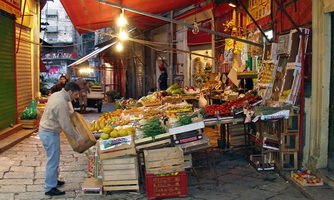 Sicily is also famous for its blood red oranges which make great food decoration for the cooks as well as tasting good. Sicily is also the place to eat Tuna and swordfish. Giant species of Tuna are still caught off the coast around the Egadi Islands and Marsala where they capture the fish and kill them in the traditional way of Mattanza. It is an experience to see but a rather brutal way. However it would interest those whose hobby is fishing.